Even with 24 useable hours in every day there is bound to be something that falls through the cracks. 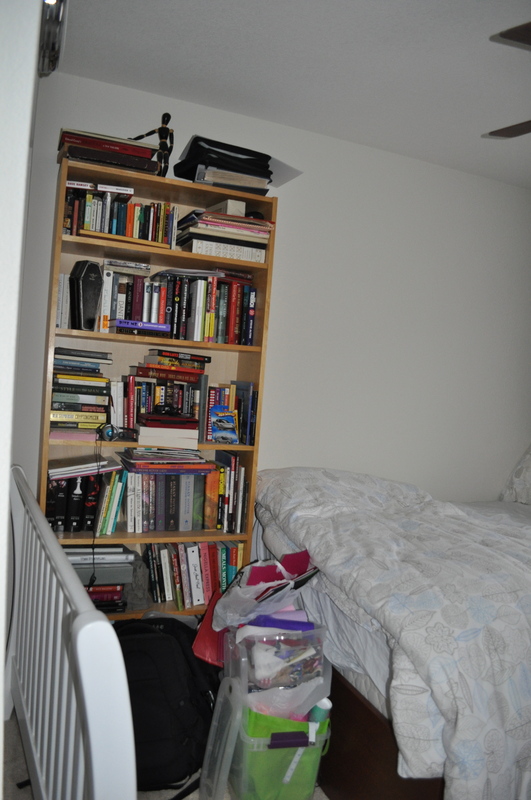 My dirty little secret is my guest room/office. It has become the room in the house I ignore as I walk down the hall. I had good intentions. As my mother always told me “The road to hell is paved with good intentions.”. Guess where I arrived? Over the years my ‘good intentions’ have turned into a room full of unfinished craft projects, clutter, and unrecognized vision. I have the ubiquitous “junk room”.This is where it stops. I am embarking to take back the room and make it into a useable space for crafts, an office, and a guest room I can be proud of. 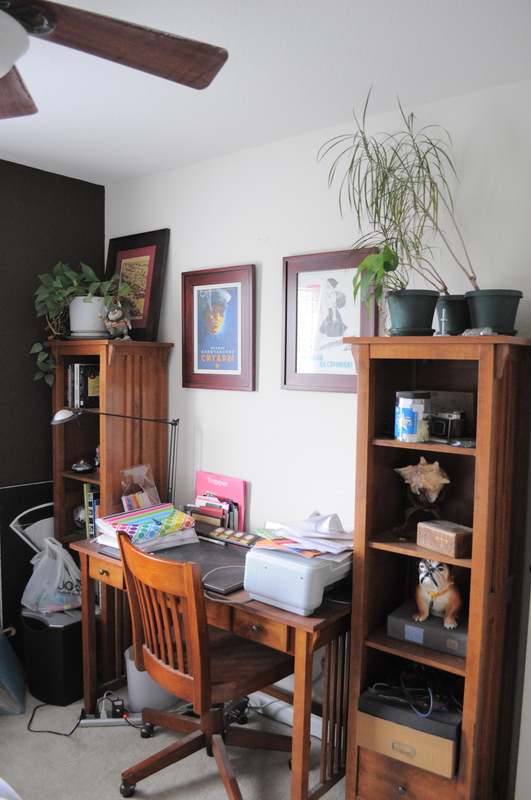 A desk that has no workable space and shelves cluttered with memories and mismatched things. 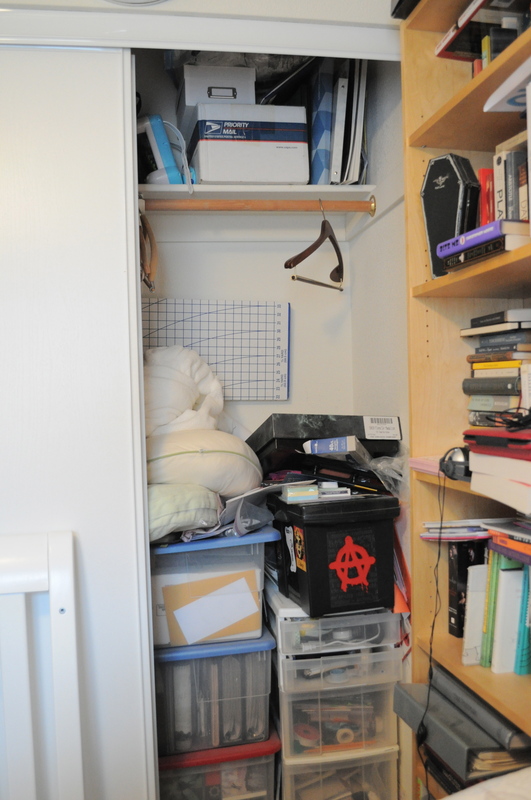 A closet so full of things, ‘tetrised’ in there. Removing one scrap of paper the whole thing would collapse. My bookshelf complete with the remnants of college curriculum. Books never read. The complete Harry Potter and Twilight series, more dirty secrets. It is important to note the craft projects spilling from the bin on the floor. Yet another failed attempt to organize the room. Also I will finally have to find a better place for the front part of my daughter’s crib and the long since used baby gate. How did I let it get this bad? Finally, the bed, that is too big for this space. It did fit years ago…..
Let’s start making some lists. 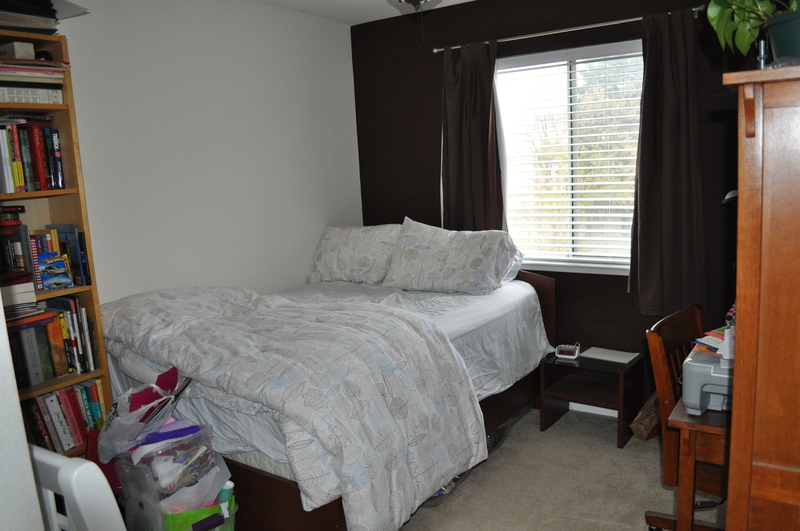 This entry was posted in Food and tagged clutter, design, DIY, Guest room renovation, organization by 24useablehours. Bookmark the permalink. I call this happiness! We all know there’s not enough hours in the day to get to everything, so I, too, have a room that resembles this but I think of it as “allowing me to share happy moments with my children”. If I have to spend precious hours to clean and organize vs. time with children that’s not time well spent. I thank the inventor of bedroom doors, out-of-sight out-of-mind.